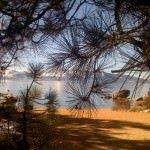 Lake Tahoe is not just about casinos anymore!Right here in beautiful Lake Tahoe, Nevada - "America's Most Beautiful Bike Ride-Lake Tahoe" has built a reputation for not only its spectacular scenery, but also its great food and support. A Boat Cruise/35-Mile Fun Ride, 72-mile ride around the Lake, and full 100-mile century are also offered. This ride promotes Lake Tahoe Bikeway, the plan to build and interconnect bike lanes/trails around Lake Tahoe, and is the culmination of the Leukemia &...Continue Reading! 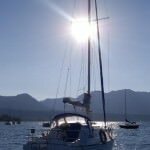 Are you thinking of moving to Lake Tahoe? Raising a family in the mountains can be very rewarding and great fun. Skiing, snowboarding, hiking, biking, sailing.........................Lake Tahoe is a wonderful place to grow up. For the first time in many years, one can find the perfect family home in the mountains at an incredibly low price. The home pictured combines modern construction with a mountain flair! You will enjoy this gorgeous well maintained home built in 2003! An open floor plan with inviting...Continue Reading! The Skyland development is located on the South East coast of Lake Tahoe. There are 245 homes in this lakefront subdivision. Skyland has a private beach for all Skyland property owners . This unique development borders National Forest, offering hiking, biking trails and hidden beaches. Perfect for a relaxing year round outdoor experience. Many homes are lakefront or lake view. Some even have a private boat dock and beach. The Nevada schools, (Zephyr Cove Elementary School and George Whittel High School)...Continue Reading! Emotional Sense vs Financial Cents? A Real Estate purchase can be one of the biggest financial decisions in one’s life, as well as one of the most emotional. Is it really all about getting the best deal, or is it about getting the best deal for you and your family’s lifestyle and well being? Sure, we all want to get that great real estate deal that will contribute to our investment portfolio. However, it may make more sense to spend a little more money on that home...Continue Reading! So… you are thinking about purchasing Resort Real Estate in Lake Tahoe?Great idea! For the first time in years, you can have that dream home or second home at an affordable price. View of the lake or lakefront? North or South Shore? You can finally have it all! Here are some amazing facts about Lake Tahoe: Lake Tahoe is the largest Alpine freshwater lake in North America and the second deepest. Lake Tahoe’s water is 99% pure. The water is so clear that a 10...Continue Reading! 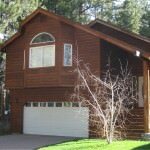 Lake Village is a private 326 townhome complex on the pristine Nevada side of Lake Tahoe approximately ½ mile from Lake Tahoe and less than a mile from the California border. Lake Village offers a unique resort atmosphere with a clubhouse, jacuzzi tub, men’s and women’s changing rooms with showers and saunas. There are 4 tennis courts and a playground area. Soon to be added, will be a fire pit, and additional gas barbeques in the picnic areas. Lake Village is spread...Continue Reading! How important is Location, Location, Location really? The old adage location, location, location in Real Estate is of utmost importance. You can change the house, however you simply cannot change the location or view. In Lake Tahoe you have a nice selection of location options. Do you prefer to be close to the lake, casinos, and Heavenly ski resort? Close to the City? Out in the County? On a meadow, river, or stream? How about surrounded by protected national forest/conservancy Lots? Do you have...Continue Reading!